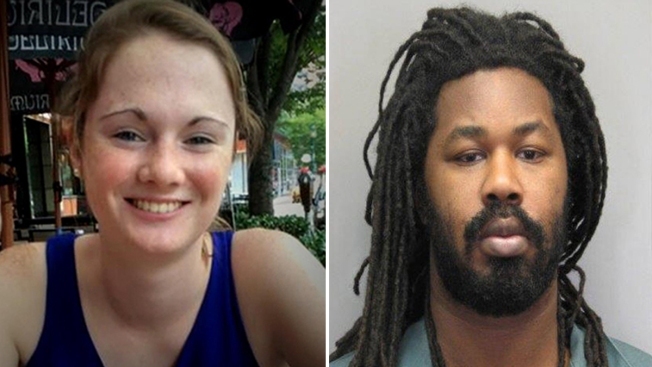 In the days before he fled to Texas, the family of convicted killer Jesse Matthew urged him to help police find 18-year-old Hannah Graham, recently unsealed documents reveal. Matthew pleaded guilty earlier this month to the murders of Graham and 20-year-old Morgan Harrington, both Virginia college students. He was sentenced to four consecutive life terms. Graham was last seen leaving a restaurant with Matthew on Sept. 13, 2014, his arm wrapped around her. Nearly a week later, police were at Matthew's home, searching his car for evidence of Graham. The documents say police told Matthew they wanted to talk to him about the "missing girl." On Sept. 22, 2014, Matthew's aunt told police her family was trying to do everything they could to help Graham's family, according to the five-page affidavit. Matthew's aunt said she told him he needed to "think about what happened to the victim because she was someone's child." Matthew's mother even planned to get the family together "because they needed to address this and get him to do what he needs to do," according to the affidavit. But the next morning, Matthew was gone. Police said license plate readers and a phone call placed Matthew in Louisiana. He was later apprehended on a beach in southeast Texas. Graham's remains were found five weeks after the University of Virginia student disappeared. Harrington was a student at Virginia Tech when she vanished in the fall of 2009 after attending a concert on the University of Virginia campus. Her remains were found in early 2010. Matthew is also serving three life sentences for the attempted murder of a Fairfax County woman in 2005. Prosecutors have said all three cases were linked to Matthew by DNA evidence.